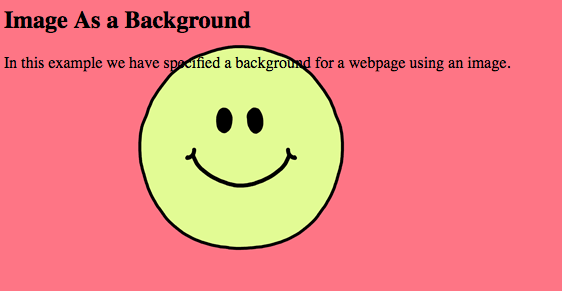 Earlier, the webpages used to comprised of only texts, which made them appear quite boring and uninteresting. 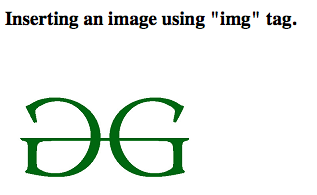 Fortunately, it wasn’t long enough that the ability to embed images on web pages was added for users. 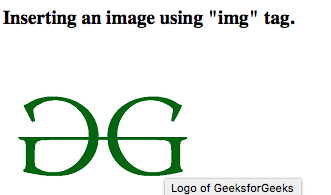 Let’s see how to add images on a webpage. 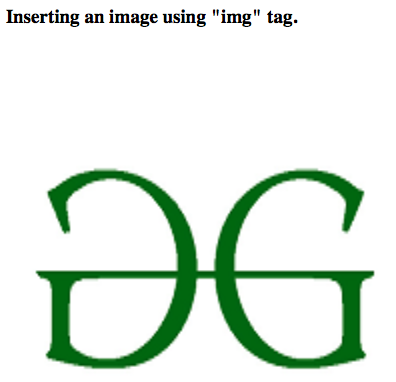 The “img” tag is used to add images on a webpage.The “img” tag is an empty tag, which means it can contain only a list of attributes and it has no closing tag. src stands for source.Every image has a src attribute which tells the browser where to find the image you want to display. The URL of the image provided points to the location where the image is stored. If the image cannot be displayed then the alt attribute acts as an alternative description for the image. The value of the alt attribute is an user-defined text. The width and height attributes are used to specify the height and width of an image. The attribute values are specified in pixels by default. <img src = "gfg_200X200.jpeg" alt = "GeeksforGeeks logo"
Animated images in .gif format can also be added using the “img” tag. <img src = "smiley.gif" alt = "smiley"
Along with the images, titles can also be added to images to provide further information related to the inserted image. For inserting a title, the title attribute is used. By default every picture has a border around it.By using the border attribute, the thickness of the border can be changed.A thickness of “0” means that there will be no border around the picture. By default an image is aligned at the left side of the page, but it can be aligned to center or right using the align attribute. An image can work as an link with a url embedded in it. 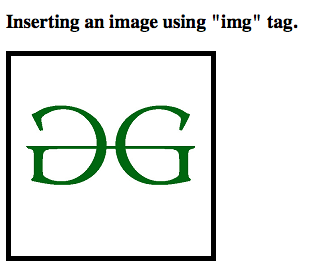 It can be done by using the “img” tag inside an “a” tag. <img src = "gfg.jpg" alt="GeeksforGeeks"
An image can be used a background for a webpage.